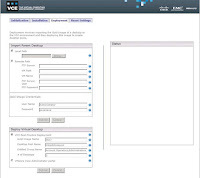 AaronDelp.com: VCE's FastPath Desktop Virtualization Platform is Here! 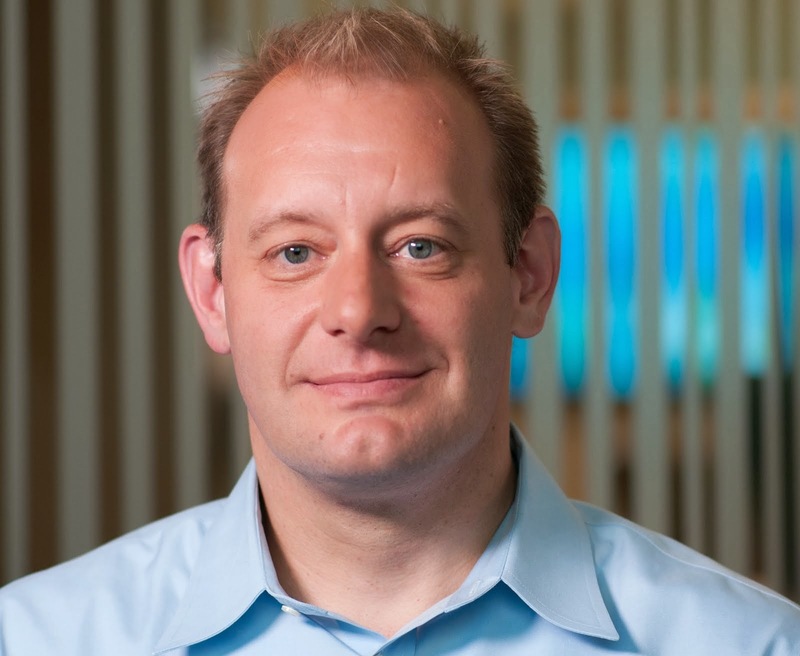 VCE's FastPath Desktop Virtualization Platform is Here! 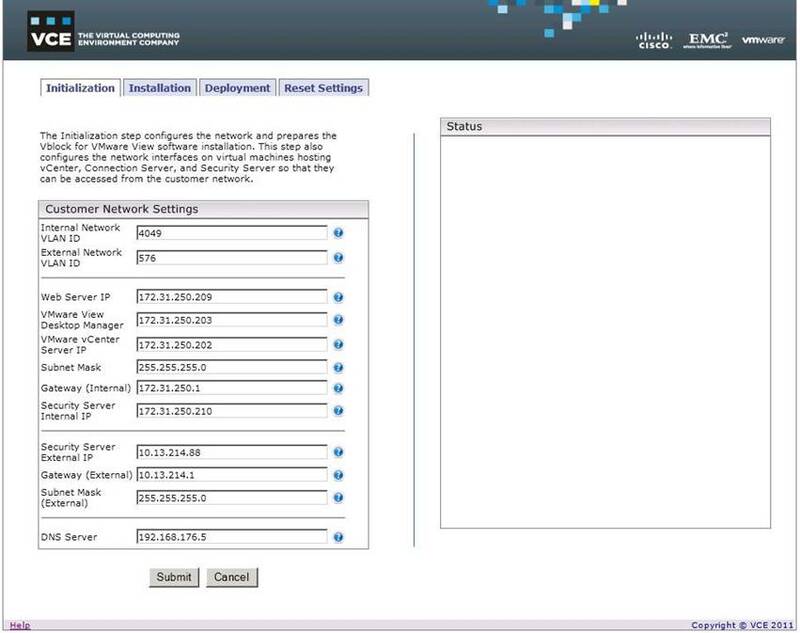 Rapid Provisioning, Setup & Configuration – Standing up a View environment has never been easier! Apply power and network connections to the Vblock, complete the Wizard (screenshots included below), upload a VDI “Golden Master” Image, and go get some coffee or maybe lunch and the FastPath Platform will take care of the rest! 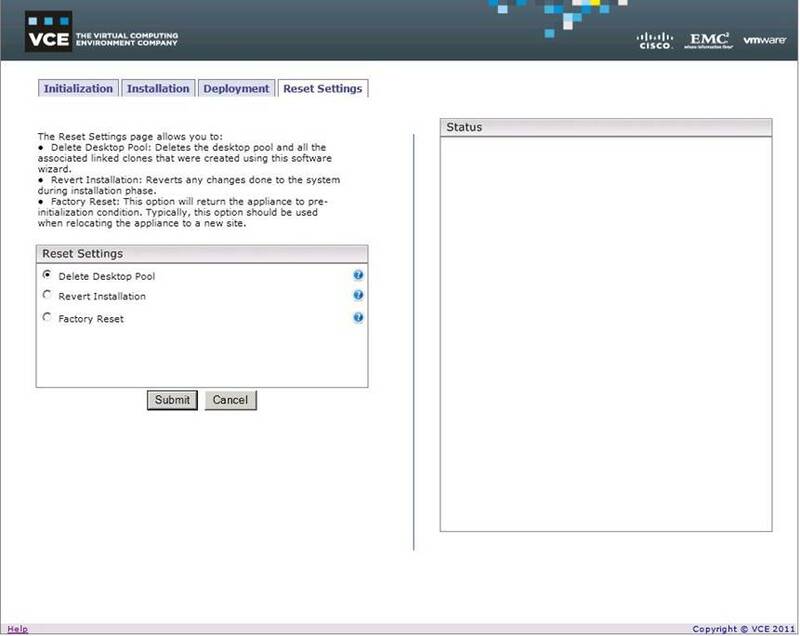 Factory Reset – The FastPath Platform was built with the ability to quickly and easily hit the “Reset” button and set everything back to factory defaults. Great for POC and lab environments! If you are at VMworld this week, stop by VCE’s Booth (#1121) to see a demonstration or to speak with somebody about this exciting new product! 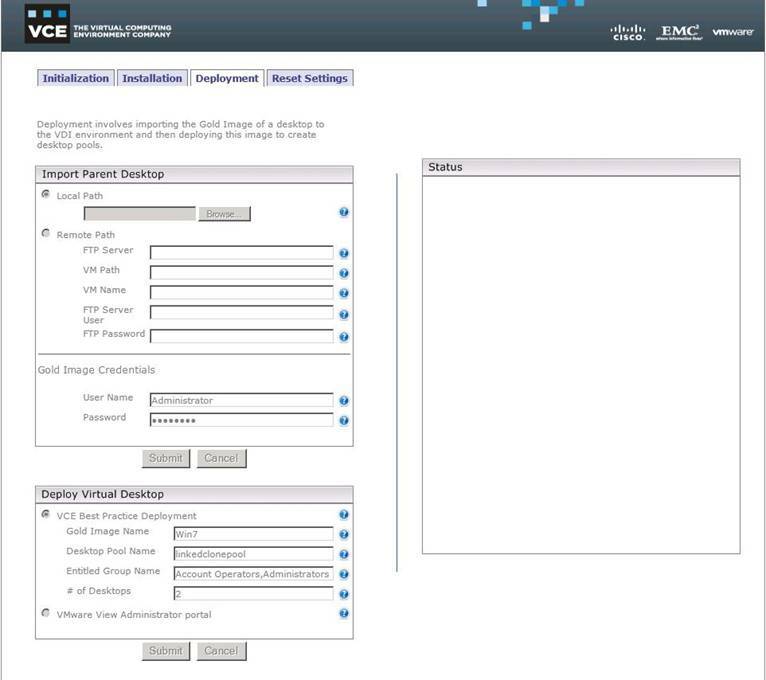 Wonderful to see VCE releasing the first and only fast deployment wizard driven solution for VMware, in FastPath. I'm looking forward to the complementary solution for mission-critical resilient healthcare desktops with VCE/VMware AlwaysOn Point Of Care in coming weeks. This site is mainly for past history (Cloud Computing, VMware, NetApp, Cisco, HP). While I might post some personal stuff here and there, I don't post industry related content here anymore. Please listen to my Podcast on Cloud Computing and Follow Me on Twitter. All content on this site copyright Aaron Delp. Theme images by enot-poloskun. Powered by Blogger.